Home » How to help your pet prepare for a long-distance move? Long distance moving is tiring enough for us humans, so imagine how tough and confusing it could be for your pet. It is not easy to endure long hours of a moving truck or in the hold of a plane, especially not for animals that are used to running around freely and spending all the energy they want. So, if you are hiring a long distance moving company, and you have a pet, it is recommended to make some arrangements in order to ease the ride for your furry friend. When planning a move, you should have the moving day’s schedule carefully planned in advance, down to each and every step of the way. It is important that you have your meal breaks planned at the same time your pet has to eat as well, as you won’t always be allowed to get your pet into a diner or a restaurant on the way. Make sure you have plenty of food and snacks for your pet, so even if you have to eat out of your car and they would have to wait there, you’ll have enough food with you. 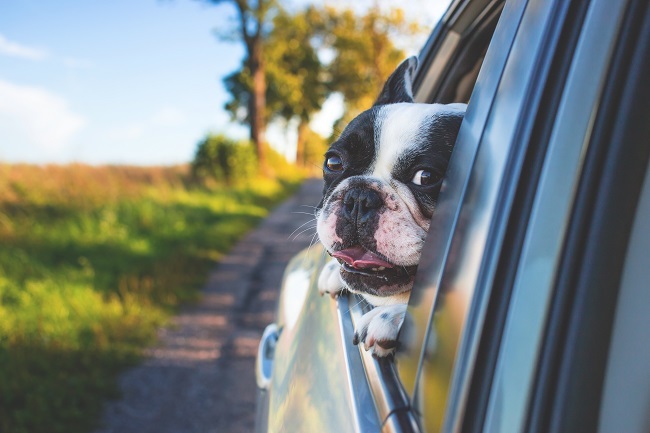 Our pets, as opposed to us people, don’t always have the stomach to endure long distance trips inside a closed-up vehicle, and that is why it is important to make short and frequent stops along the ride to allow them to stretch out a bit, or to relieve themselves in cases of nausea. You really would not want your items and belongings inside your vehicle covered with vomit or something worse. If you’re driving yourself without the help of a long distance moving company this is worth your attention. We don’t mean that you pull out your white linens, but we do recommend that you make a nice soft spot or a cozy place in the back seat for your pet to lie comfortably during the long-distance ride. That way you make sure your pet is safe and not moving around inside the car unleashed, and you also make sure you are not interrupted while driving. Making a long-distance relocation is not a simple process, but it can be if you hand the control over to a professional long distance moving company. That way you can be completely confident that every parameter is addressed including the caring and arrangements needed in order to move with your pet.